After the obscure Man Of Steel and the confounding Batman V Superman: Dawn Of Justice, the DC Extended Universe has embarked on a path of simpler movie titles. Wonder Woman’s movie is just Wonder Woman, the Justice League’s is Justice League, and now Ben Affleck isn’t getting fancy with the name of his standalone Batman film. 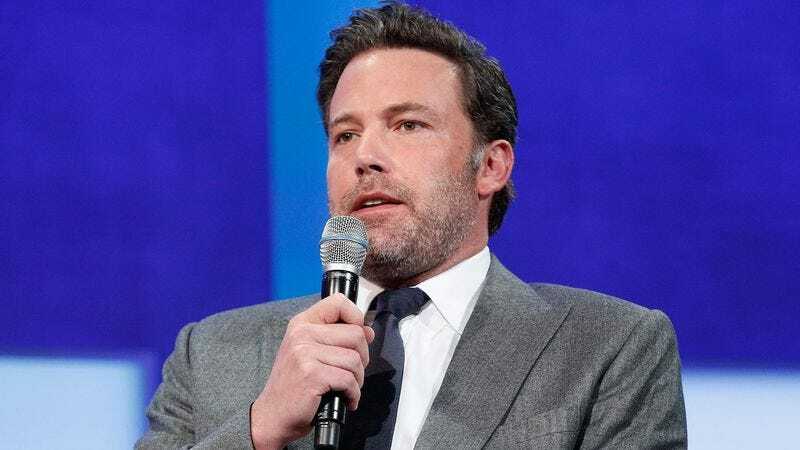 In an interview with the Associated Press while promoting his upcoming film The Accountant, Affleck said it’s called The Batman at present. “I might change it,” he added. The Batman has a certain gravitas to it, what with the article making it feel vaguely formal. (We’d like to envision Affleck making the case to Zack Snyder: “Batman is a blockbuster, The Batman is an Oscar winner. Trust me. I know.”) For what it’s worth, The Batman was also the title of an animated series that ran from 2004 to 2008. Affleck was hesitant to give more details about the movie to the AP, but for now we do know that Deathstroke will be in it and he will be played by human abdominal muscle Joe Manganiello.